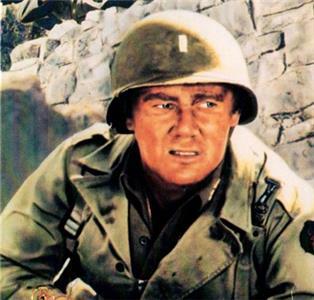 Van Johnson in Dory Schary's World War II Docudrama GO FOR BROKE! will be presented on Thursday, July 19 at 2 p.m. at Heritage House Arts & Civic Center, 1428 Jenkins Road in Chattanooga. Admission is free. Running time is 1:31 and the film is rated PG. The film GO FOR BROKE! is the story of the 442nd Infantry Battalion, the Japanese-American (aka: Nisei) combat unit that earned more medals and suffered more casualties than any other American combat unit in World War II. The genesis of this inspirational film has a unique evolution — MGM Studio Chief Dory Schary was deeply moved by the plight of Japanese-Americans in the wake of the attack on Pearl Harbor. Schary had witnessed them being rounded up, incarcerated, and shipped off to various internment camps located in the western US during his time in Los Angeles and felt that their treatment had been both inhumane and unjustified. 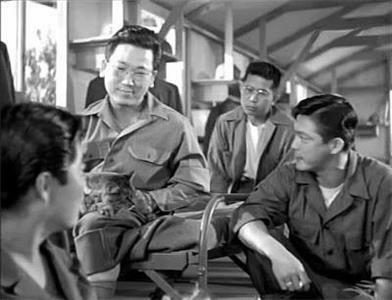 Determined to try to make amends in any way he could, Schary hatched the idea of collaborating with Academy Award-winning screenwriter Robert Pirosh (BATTLEGROUND) on a World War II script which would highlight the positive contributions during the war of Japanese-Americans. And it seems that the more they delved into the story of the 442nd, the more the script practically wrote itself. Van Johnson (A GUY NAMED JOE, BRIGADOON, 30 SECONDS OVER TOKYO) plays Lt. Michael Grayson, a Texan fresh from West Point tasked with leading the newly formed 442nd. Initially reluctant, as Grayson sees the troops through basic training and takes them into combat, he gradually loses his inherent prejudice and comes to see them as his fellow human beings as well as members of one outstanding fighting unit.